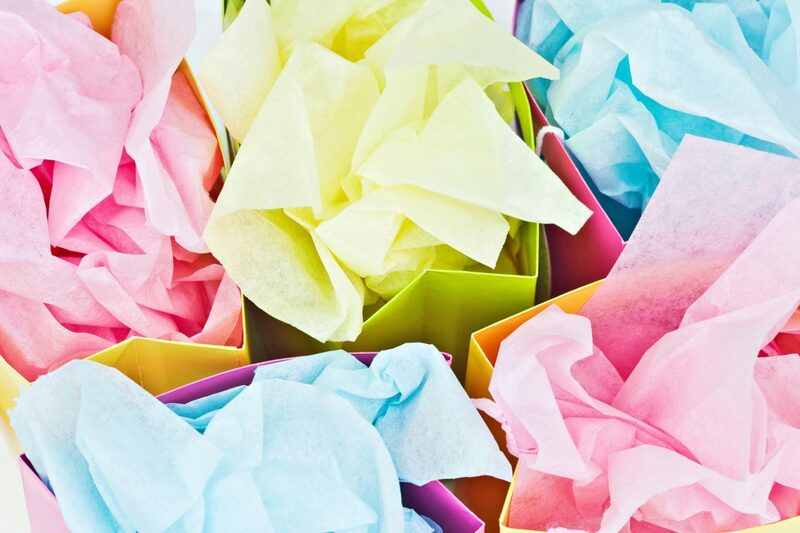 Our 17gsm luxury crisp MF tissue paper is perfect for jewellery, clothing, floristry, cosmetics and accessories. Our 22gsm soft MG tissue is ideal for china, glassware and general packing. Both our tissue grades are acid free and can be printed on both rolls and sheets. Minimum orders are the lowest in the trade at only 6 rolls or 10 reams of 480 sheets. Use in combination with self-adhesive labels and paper carriers for a great all in one retail packaging solution.